A study conducted has shown that an average woman will use 12,000 to 16,000 disposable pads, tampons and pantyliner in her life time. That's a huge amount of waste dumped in our landfills. What more if we include in the manufacturing, packaging and transportation waste of getting this products from the factory to you. Sad but true. The most common trash item found on some beaches and choking sewer lines are disposable pads and it's plastic covers. They take from 500 - 800 years to get decomposed! Most of them contain chemicals, toxins, additives and synthetic materials. Imagine leaving behind a hundred-year legacy for a single-use item! Using something once is never enough. Our society has gone from relying on high quality reusable products to cheap disposables. Disposable pads are non-biodegradable and non-recyclable. Thus, they disintegrate into microscopic components and cause pollution by entering waterways. 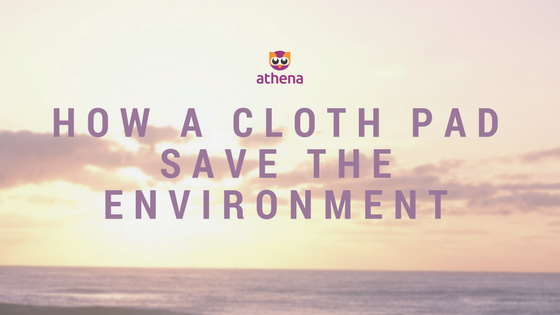 When you choose to reuse anything from dishes to towels, you're helping make a cultural shift that values quality over wastefulness. A cloth pad can be used 60-70 times and costs an average of RM 35, thus making it way cheaper compare to disposables. Want to switch? Start using during your light days to get use to it.